Home Health Care Providers & Services Cocoona Robotic hair transplant treatment at Cocoona is huge hit! Dubai: The one-of-its-kind robotic hair transplantation system introduced in December at Cocoona Center for Aesthetic Transformation in Dubai has become a huge hit with a number of patients in the UAE and across the region undergoing the treatment, thanks to its benefits, accuracy and end-results. Over 40 individuals have been treated with the unique ARTAS® Robotic System at Cocoona in the last four months. The technology, which is computer-assisted and physician-controlled, has helped minimize the pain and scarring caused to the patients and thus become the preferred choice for most hair-loss patients. The robotic system at Cocoona eliminates the challenges generally associated with traditional transplant methods and delivers higher accuracy and incredible end-results. The technology ensures a natural look through fuller hair and the most suitable hairline design created with minimal efforts, minimizes scarring, pain and delivers accurate and safe results. ARTAS® is capable of site design, selecting healthy grafts, harvesting the hair, determining the optimum angle and simulating the final result using its 3D patient simulator. The hair transplantation solution leverages digital imaging and precision robotics to harvest healthy grafts for transplantation. Unlike the earlier methods of hair transplantation, there is no need for the surgical removal of a strip of scalp from the back and sides of the head, no linear scar is left after the procedure and there is no need for stitches or staples to close the wound. The benefits are quick recovery time, ability to return to normal activities sooner and wear any hairstyle the patients need. Cocoona undertakes a minimum of 10 robotic hair transplant cases every month, apart from the manual cases, to ensure they deliver quality. 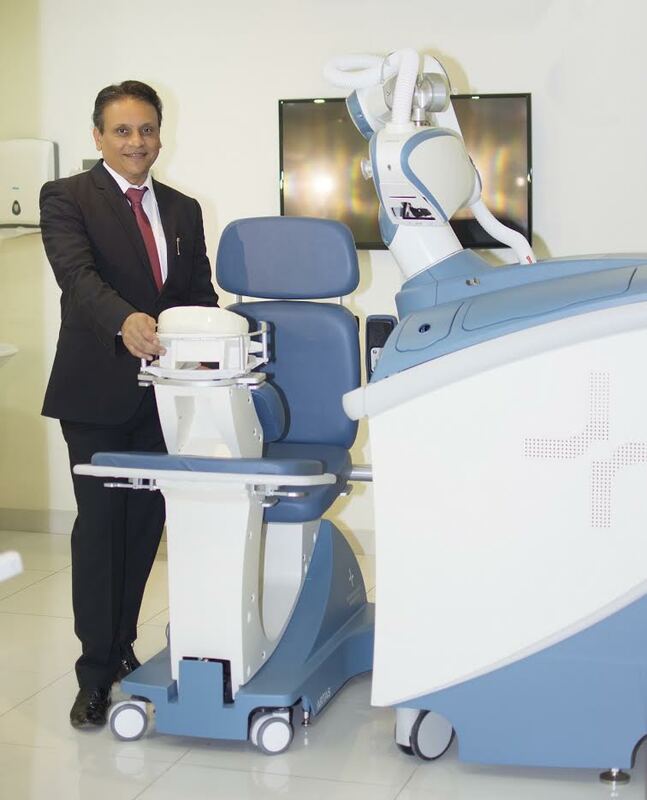 The waiting list for robotic treatment is proof of its growing popularity and demand. With the 3D ARTAS® modeling, patients will be able to see the final results and predict the looks in advance and adjust as required beforehand. ARTAS is also capable to harvest 1000 grafts per hour in optimized conditions and can also create the site map with similar speed. The Robot also posses intelligent image guidance algorithms that optimize individual follicular unit harvesting, resulting in precise procedures and consistent results. In addition the robot also has advanced algorithms that underpin the entire technology. These analyze each hair follicle to select the healthiest grafts based on a number of criteria, drastically increasing the chances of re-growth. The Cocoona team is headed by Dr. Sanjay Parashar and comprises of 14 specialist / consultant doctors from around the world and the center’s facilities in Dubai include nine consultations rooms, five treatment rooms, and two operation theaters. The Centre will soon be opening an outlet in JLT and has expansion plans for more in Dubai and other Emirates. Cocoona already has a presence in India.